Dried Shiitake mushrooms from The Mushroom Garden's family kitchen in the heart of Snowdonia North Wales where they cultivate Shitake and Oyster mushrooms. 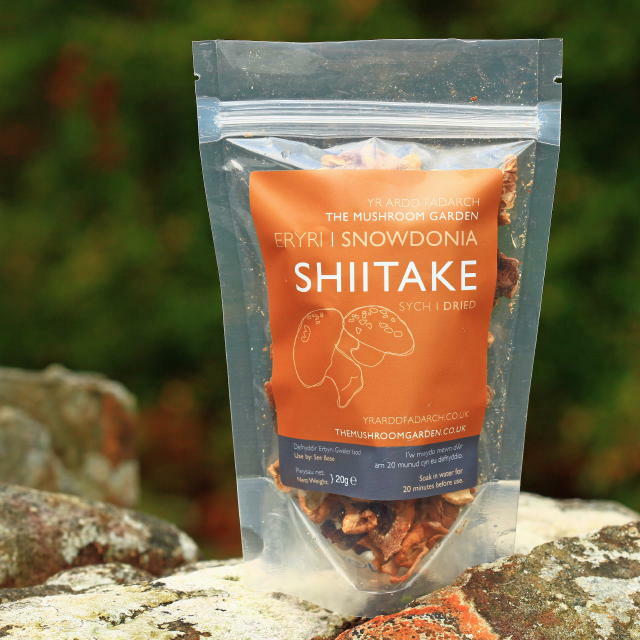 Their slow air drying process locks in the unique earthy, smokey Shiitake flavour and packed into a 20g resealable sachet so that you can use as little or as much as you need to flavour your food. 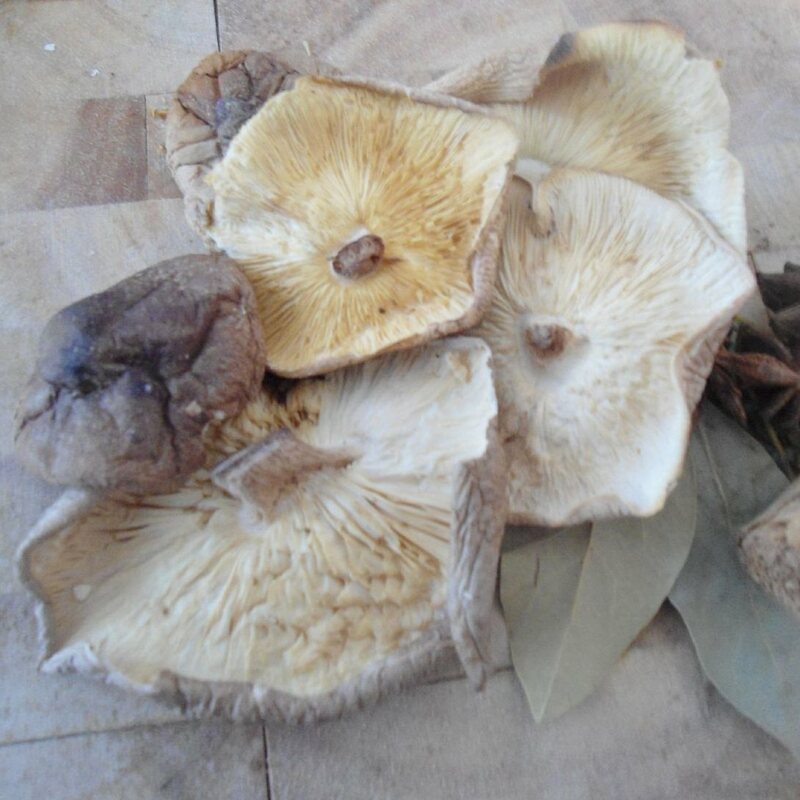 To use, just soak in warm water for 20 minutes before use to release the flavour of this prince of edible fungi. The "stock" left behind after the soaking can be used again in cooking in casseroles, pasta, risottos, soups or any other way you use mushrooms! You also have the reconstituted mushrooms to chop finely and add to the dish during cooking. A 12 month shelf life makes it a long term resident of your store cupboard.